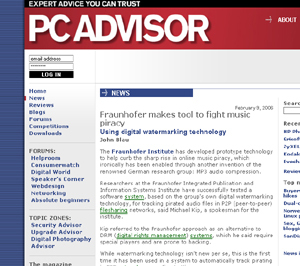 One of our managers, Michael Kip, did act as press officer of the Fraunhofer institute for integrated publication and information systems from 2002 to 2006. He represented the institute in domestic and foreign press and was first contact point for journalists from all over the world, who could reach him directly via a Darmstadt phone number and a Fraunhofer mail address. Press excerpt: "... said Michael Kip, a spokesman for the institute."